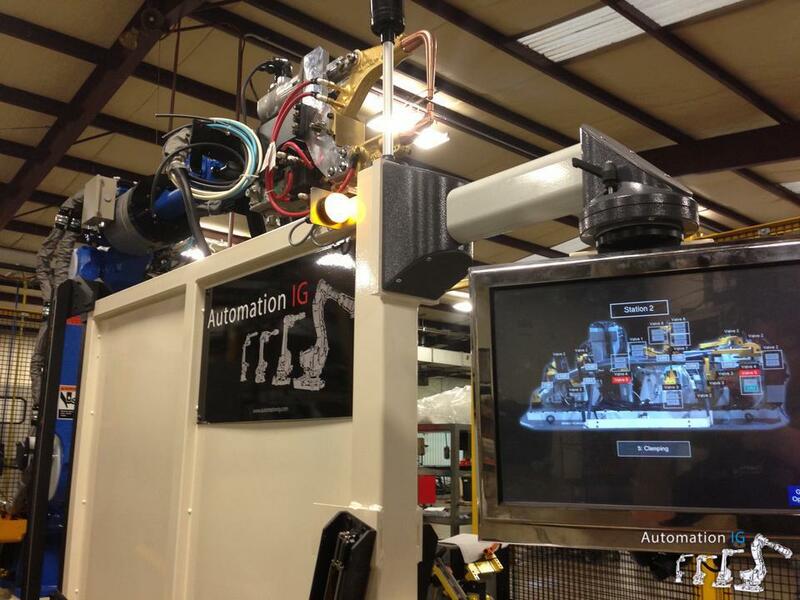 By having all the skills and capabilities to manufacture turn-key cells in-house, Automation IG provides a well coordinated team within a single source. 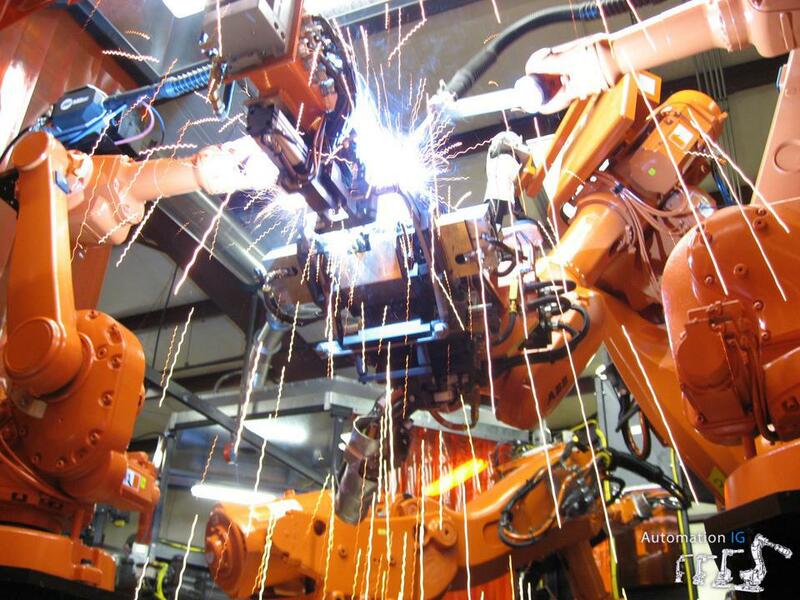 Our close-knit team of experts have developed technologies and design patterns which enhance the efficiency and reliability while reducing the cost of robotic systems. 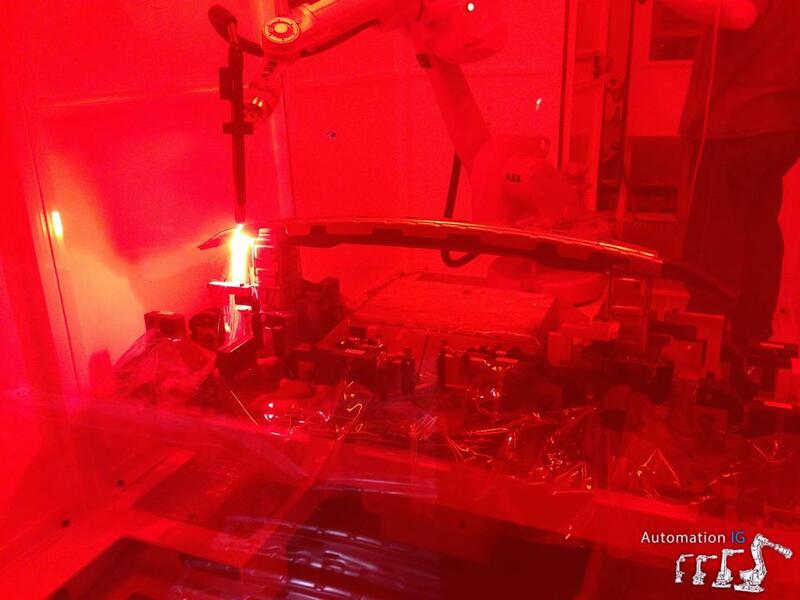 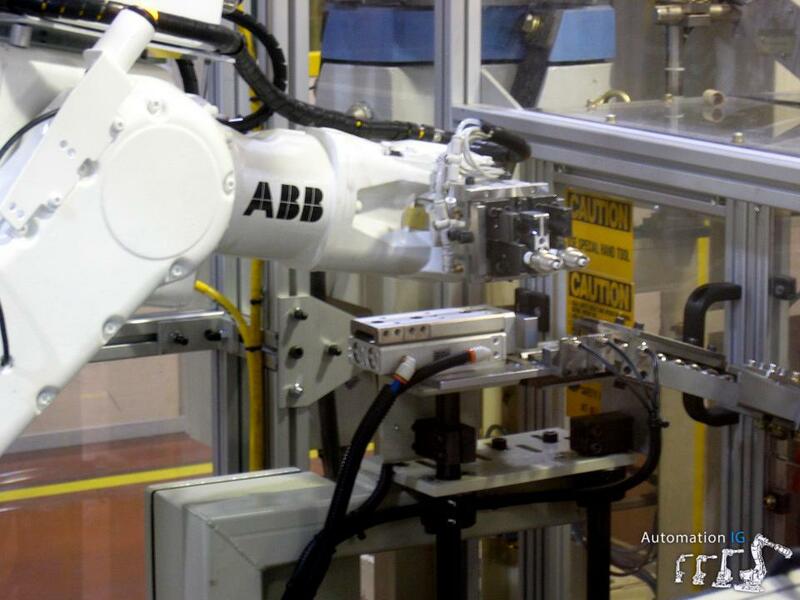 Our controls engineers' automation experience has allowed us to develop reliable, robust controls systems for robot cells as well as technologies such as quick-change and smart, automated fixtures. 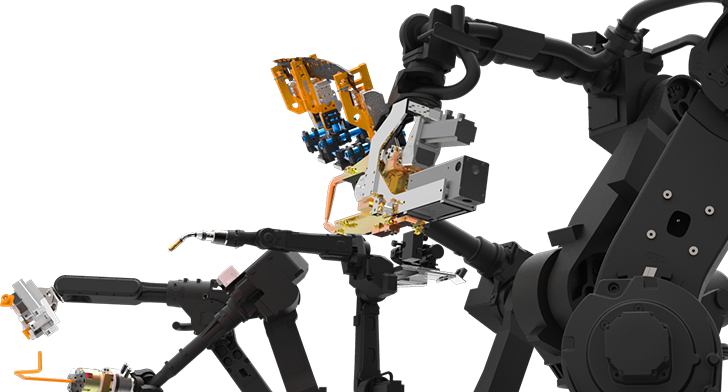 From our experience building hundreds of robotic systems we have developed a library of technologies and design patterns to foresee and address potential challenges. 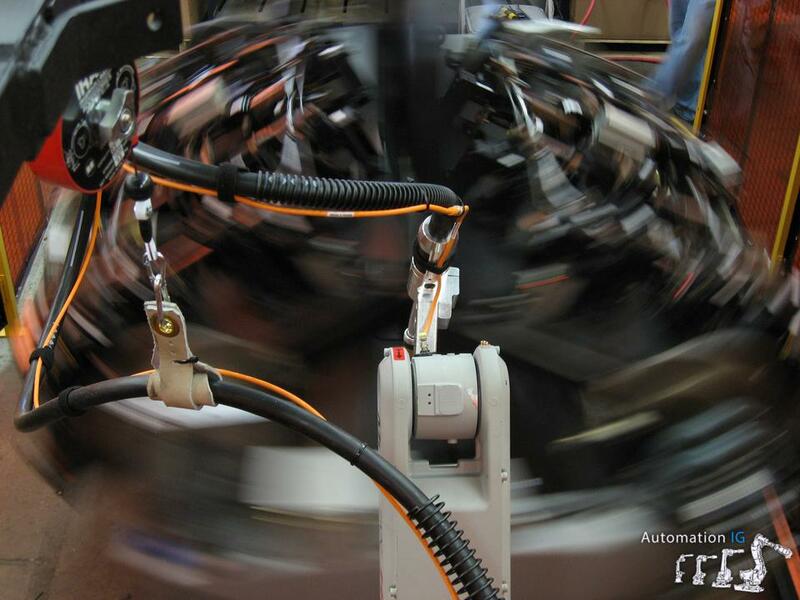 Our in-house team handles mechanical & controls engineering, machining, panel-building, wiring, assembly, and PLC/HMI/Vision/Robot programming. 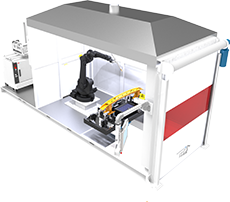 Cells designed from the start with safety considerations, dual channel safety circuits, stop time analysis, and safety PLCs where needed. 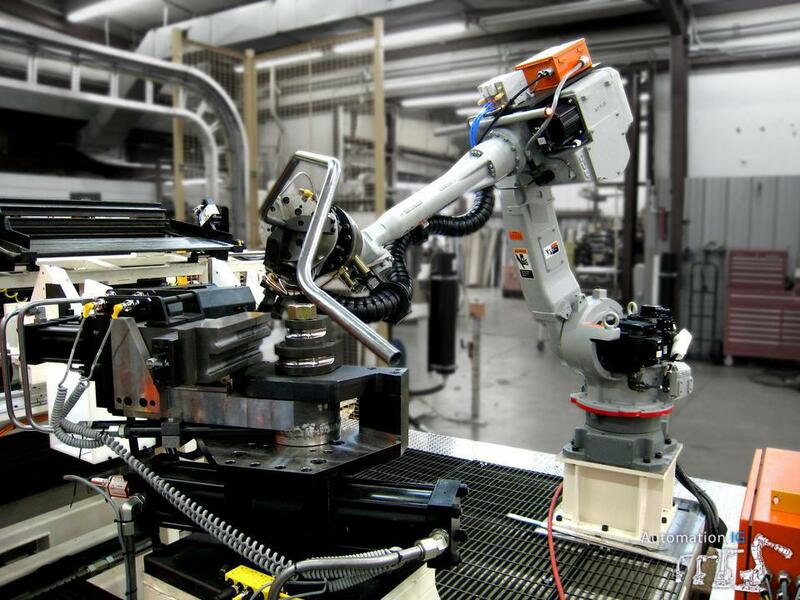 Every second counts, our robot cells are designed and built with error-proofing (poka-yoke) and automation to help operators focus on their production tasks. 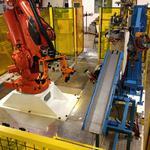 Our customers rely on our equipment to produce the millionth part as well as it produces the first part. 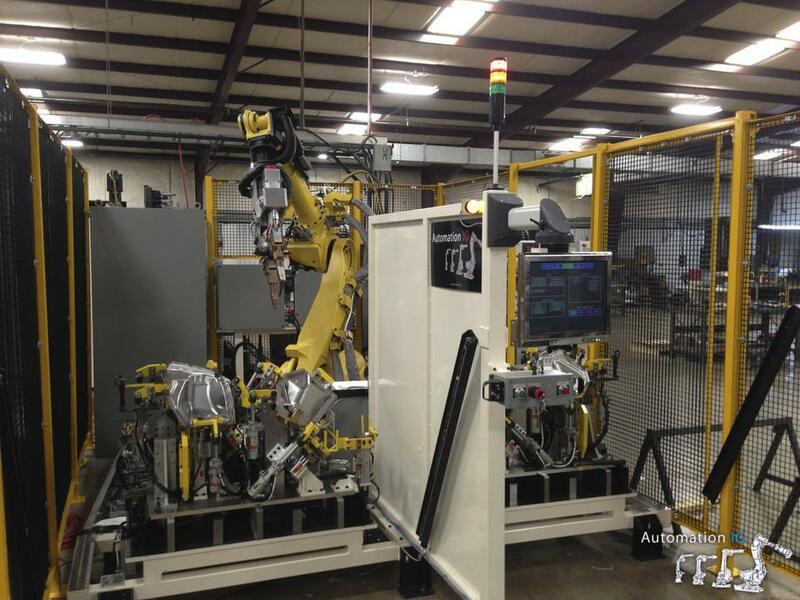 We select the best components, inspect every machined part, and structure. 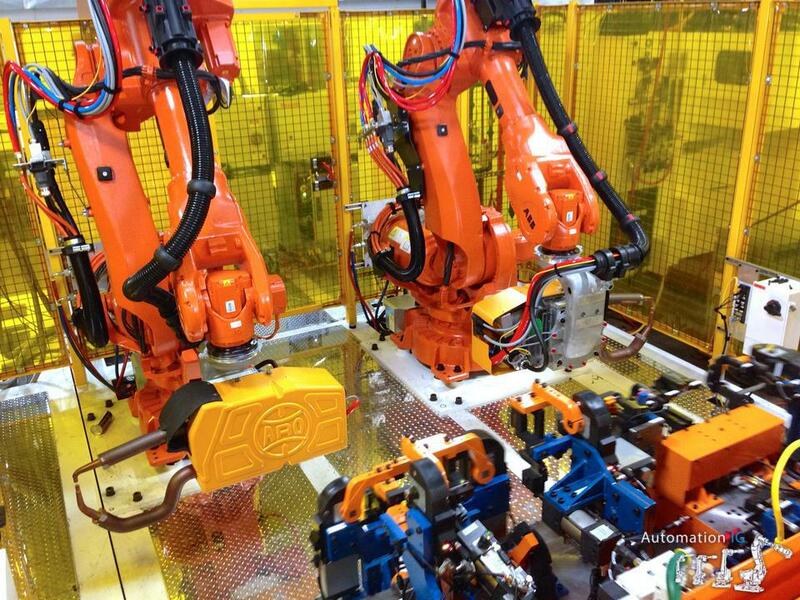 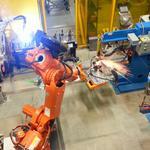 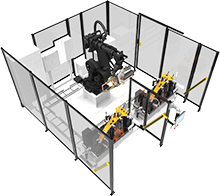 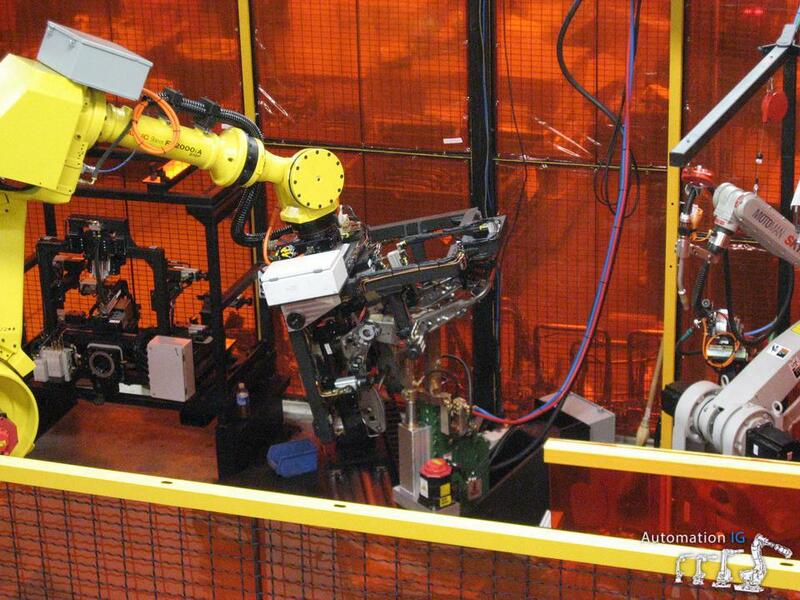 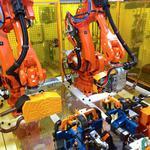 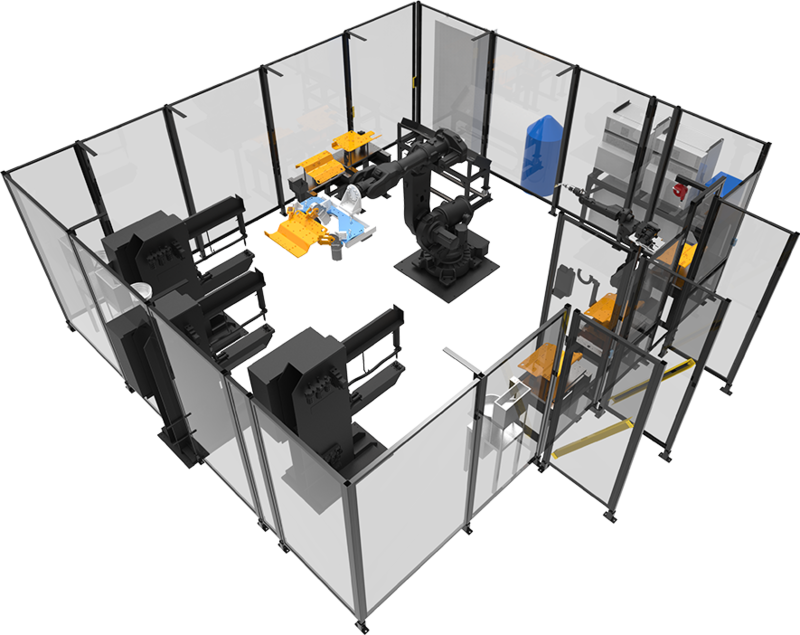 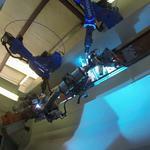 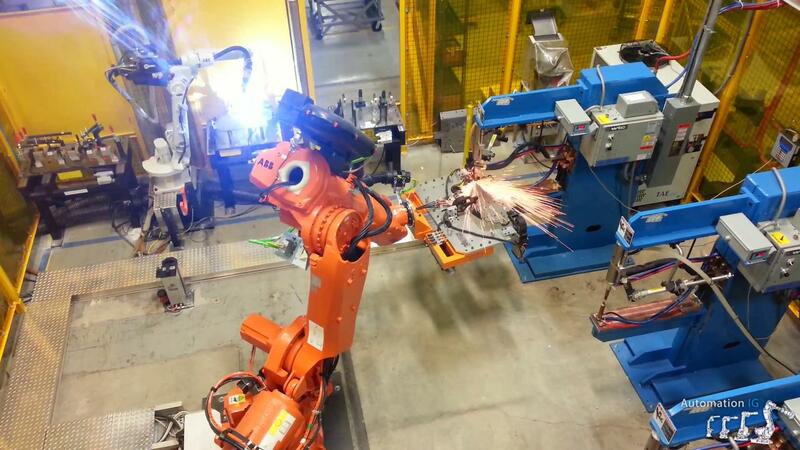 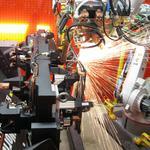 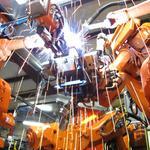 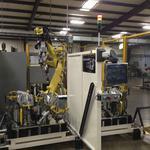 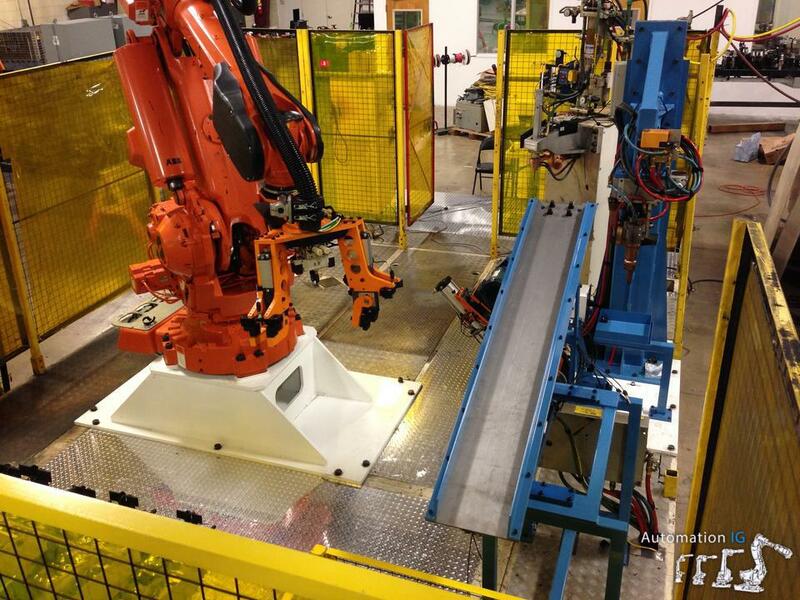 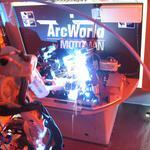 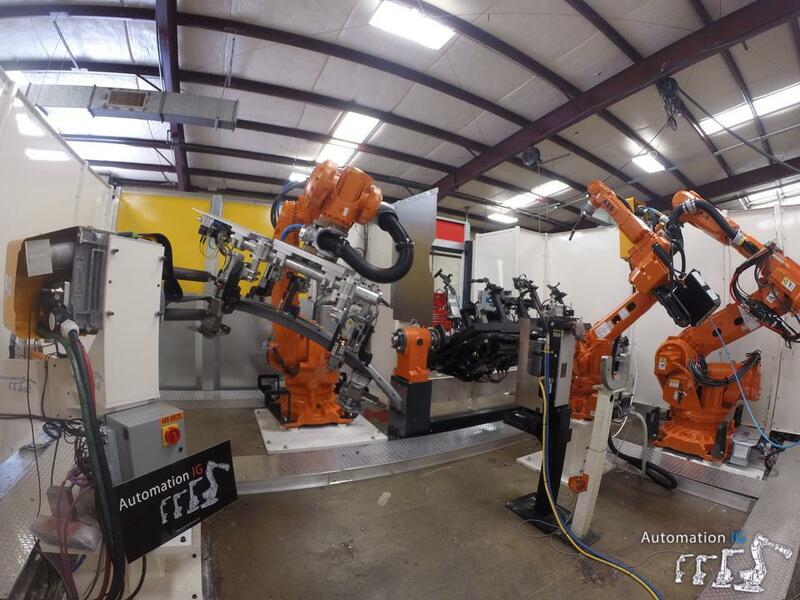 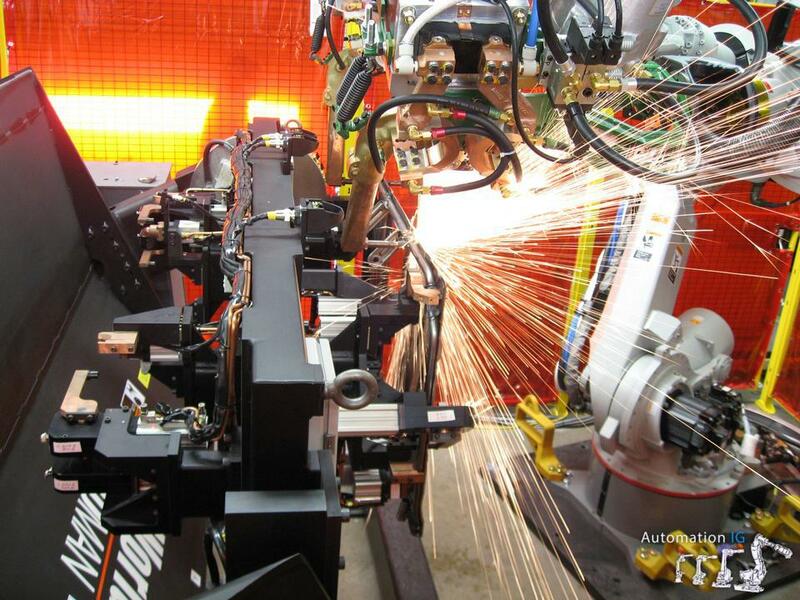 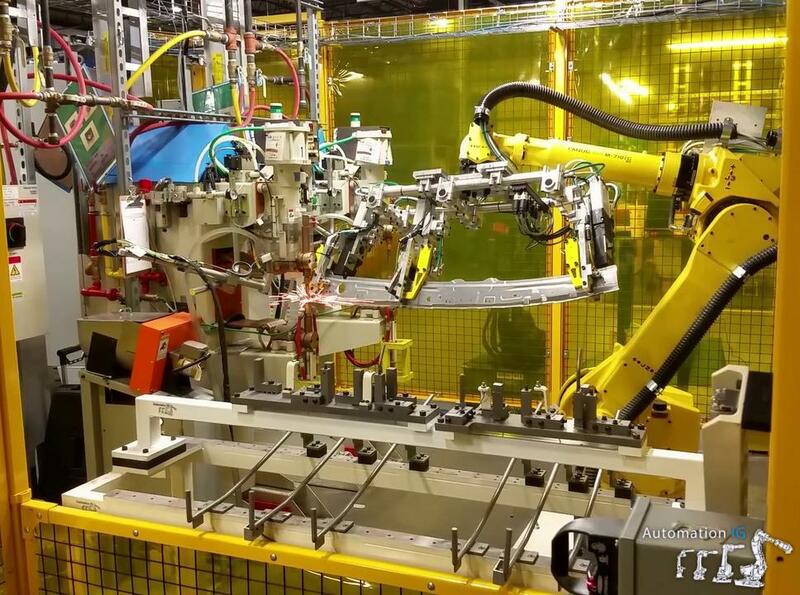 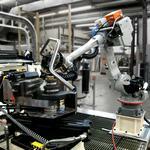 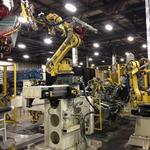 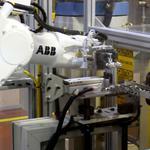 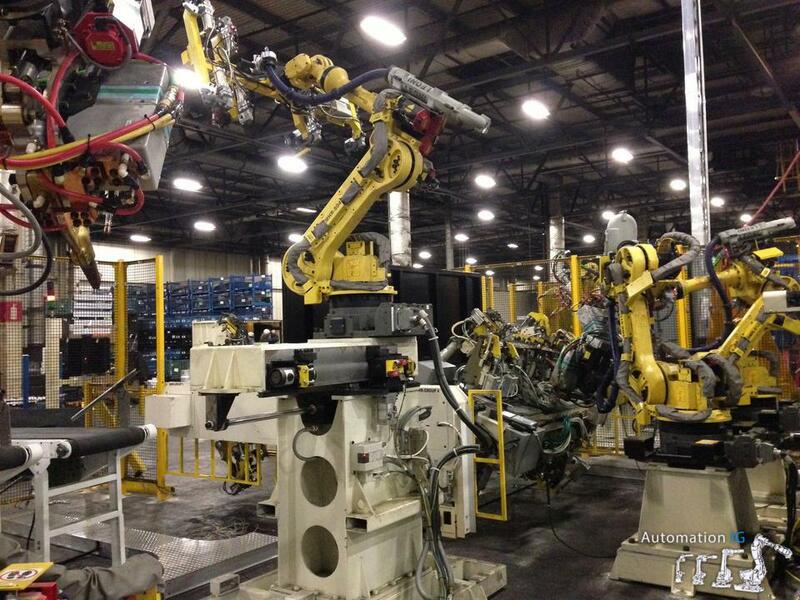 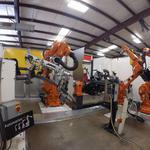 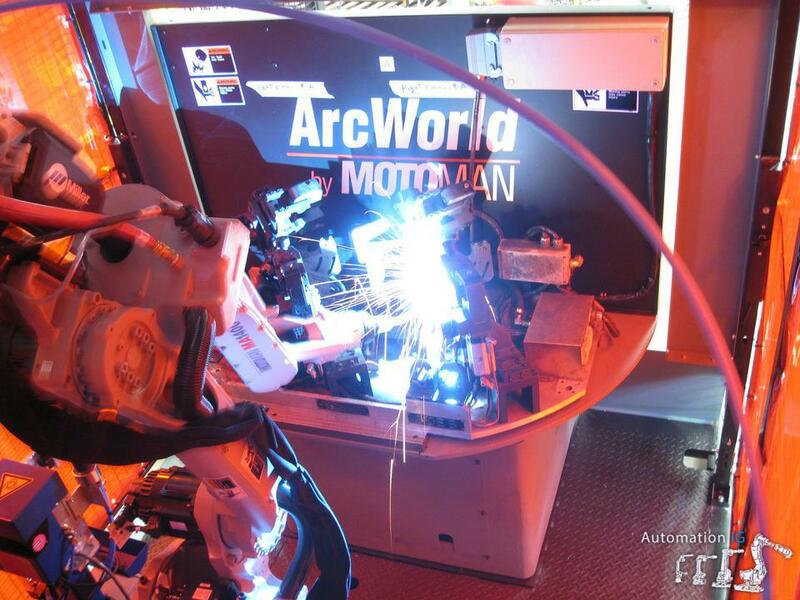 We build both standard and custom robotic solutions for spot welding processes. 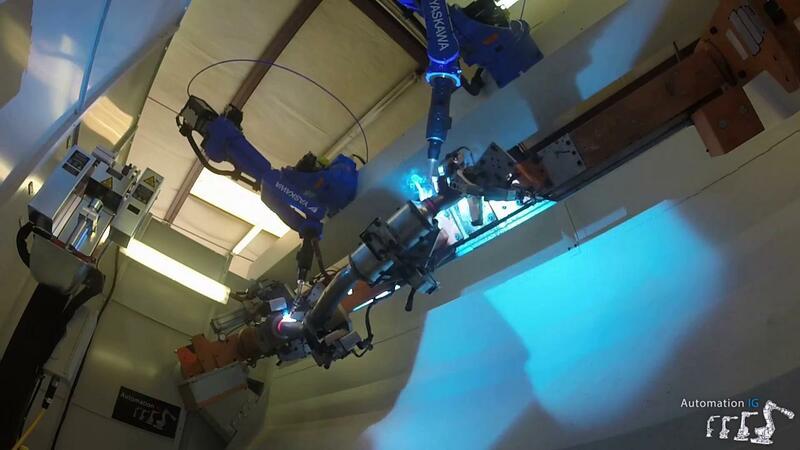 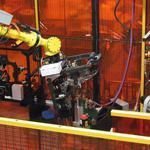 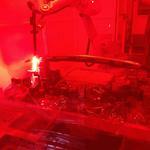 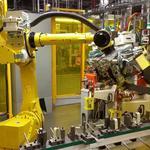 Our cells can utilize the robot to position the weld gun, the part, or both. 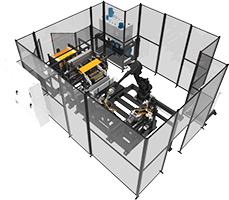 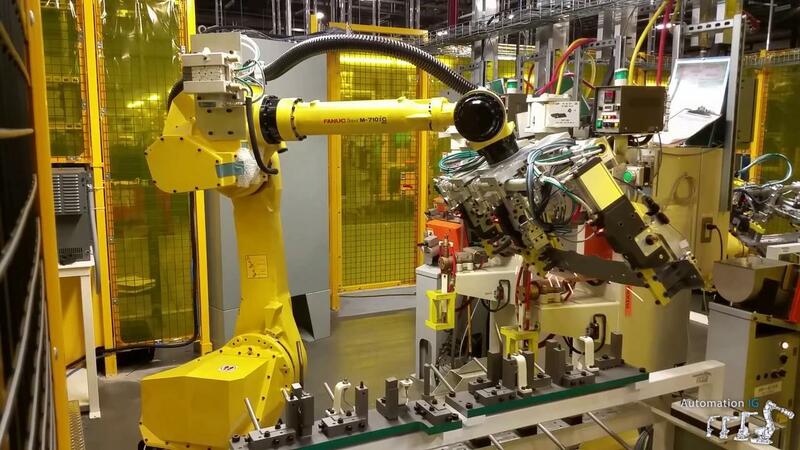 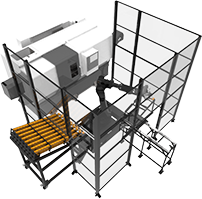 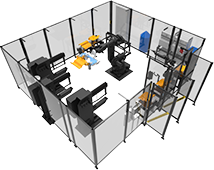 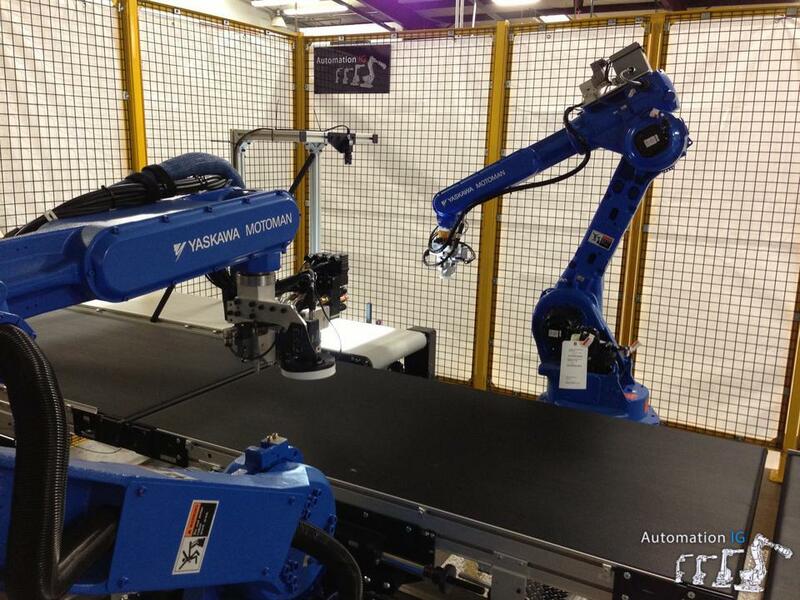 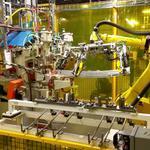 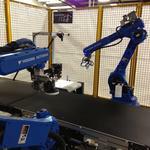 Robotic material handling cells provide solutions to complicated, hazardous, or error-prone material handling tasks. 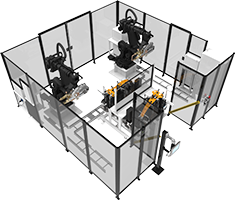 Make multiple sub-assemblies within a single fixture. 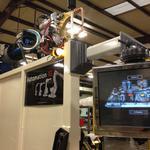 PLC programs set to enable/disable individual subs. 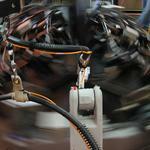 Hand tools to ensure quality and consistency for clip insertion, fastening, assembly, welding, and gaging operations.